On adrenal glands, benign tumours generally change the hormone equilibrium, and malign tumours usually tend to spread to the nearby tissues and to the organs of the immune system. These features can give a trace about the type of adrenal tumours; however, they cannot be observed all the time. Different tumour types can be confused in terms of having a similar shape, size and intensity features on scans. To support the evaluation process, biopsy process is applied that includes injury and complication risks. In this study, we handle the binary characterisation of adrenal tumours by using dynamic computed tomography images. Concerning this, the usage of one more imaging modalities and biopsy process is wanted to be excluded. The used dataset consists of 8 subtypes of adrenal tumours, and it seemed as the worst-case scenario in which all handicaps are available against tumour classification. Histogram, grey level co-occurrence matrix and wavelet-based features are investigated to reveal the most effective one on the identification of adrenal tumours. Binary classification is proposed utilising four-promising algorithms that have proven oneself on the task of binary-medical pattern classification. For this purpose, optimised neural networks are examined using six dataset inspired by the aforementioned features, and an efficient framework is offered before the use of a biopsy. 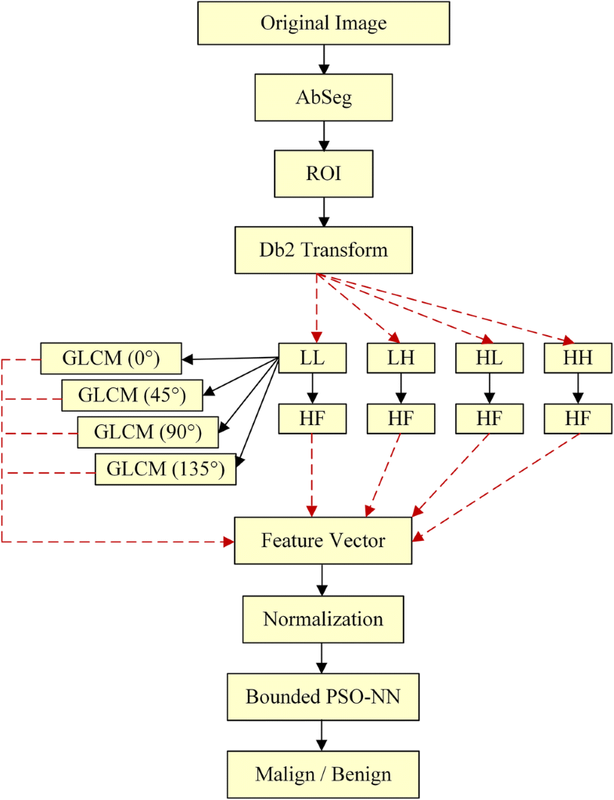 Accuracy, sensitivity, specificity, and AUC are used to evaluate the performance of classifiers. Consequently, malign/benign characterisation is performed by proposed framework, with success rates of 80.7%, 75%, 82.22% and 78.61% for the metrics, respectively. • Different types of adrenal tumours can include similar features (i.e., intensity, size, shape), while same-kind tumours can involve different features. • Related to handicaps, a framework including robust feature extraction and classification methods is needed to categorize adrenal tumours. • Histogram, grey level co-occurrence matrix and wavelet-based features are examined to reveal the most effective one. • Binary classification of adrenal tumours is proposed utilising four-promising algorithms that have proven oneself on the task of binary-medical pattern classification. 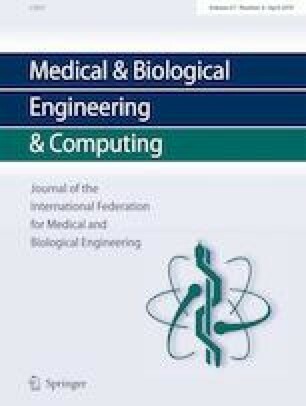 • As a result, malign/benign characterisation is performed by proposed framework achieving remarkable accuracy, sensitivity, specificity and AUC rates. • In tumour classification, a framework handling all visual handicaps is designed, and this study can be extended to the classification of tumours revealing on different organs. This work is supported by the Coordinatorship of Konya Technical University’s Scientific Research Projects.